SPOKANE, Wash. -- The Spokane Indians are proud to announce that they have been honored as the Short-Season/Rookie League recipient of the Bob Freitas Award, which recognizes the top overall operation at each level of the minor leagues by Baseball America. This is the third time the Indians have won the award (1991, 2003, 2018), which is the most of any short season and rookie level team. The Freitas Awards, named after longtime Minor League Baseball ambassador Bob Freitas, have been presented by Baseball America annually since 1989 and recognize franchises for their community involvement, long-term business success, and consistent operational excellence. One franchise from each of MiLB's four classification levels (Triple-A, Double-A, Single-A and Short-Season/Rookie) is honored each year. "The Freitas Award is one of the most prestigious in sports and we're extremely honored to have been selected by Baseball America," said Spokane Indians Vice President Otto Klein. "This recognition is a true testament to the hard work of our staff and the team's longstanding commitment to our community." Baseball America praised the team's Redband Rally campaign, which was introduced in 2017 and raises awareness and funds to help protect the Spokane River's signature fish--the Redband Trout. The publication also lauded the team's relationship with the Spokane Tribe of Indians, highlighting the Salish jerseys that the team now wears for all games throughout the season and that have been featured in the National Baseball Hall of Fame. The recognition from Baseball America caps off a successful season on and off the field for the organization. The Indians set a new franchise record for attendance with 198,423 fans coming through the gates of Avista Stadium while the team, led by league MVP Curtis Terry, reached the NWL Championship for the first time since 2010. Mini Season Ticket plans are on sale now for the 2019 season. 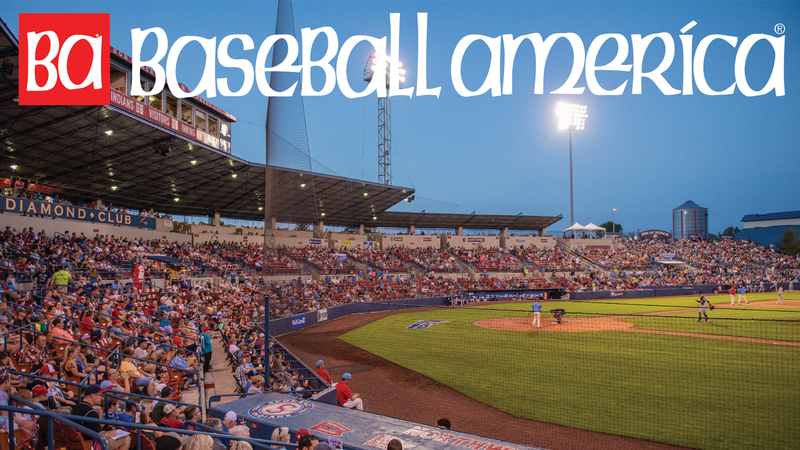 The Spokane Indians have five great options available, now with eight games in the 4th of July Celebration, Opening Night and Season Finale Plans, and seven games in the Weeknight and Sunday Plans. CLICK HERE to view a complete list of games for each Mini Season Ticket Plan. Group Options are also available for all of our home dates during the 2019 season. Please contact the Spokane Indians ticket office for more information regarding Season Ticket, Mini Season Ticket, and Group Options. The ticket office can be reached at (509) 343-OTTO (6886).